Chinese glass beads with wire wrapped links made for a friend. Quite simple and easy to make. Wow again!!! You are very talanted! This bracelet looks so simple and so nice in all this beauty! Hi Karnaaks, thanks for looking. 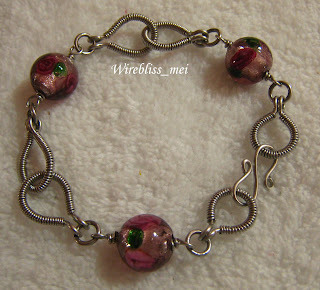 Check out the mother's day bracelet i just posted after few days of inactivity.